"AMERICAN STREAM" is my 2011 entry in Artprize. 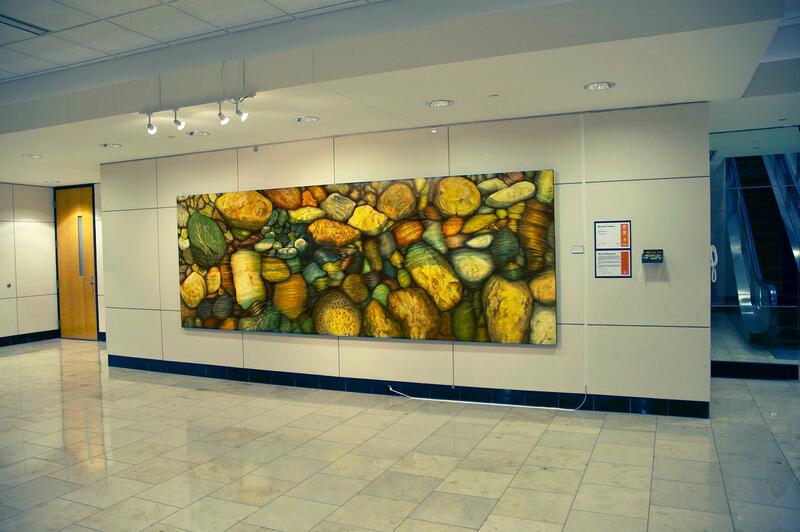 It is 14' x5' oil on canvas and is a "follow-up" to my 2010 entry, "America Rocks". It pertains to the image of the "stream of consciousness" that exists in all nations. As we are a nation that is open to all opinions, beliefs and ideas, our "stream" if you will, runs fast and clear. Other nations that do not subscribe to to a diversity of thought tend to have a stream that is slow, more opaque, and even stagnate.